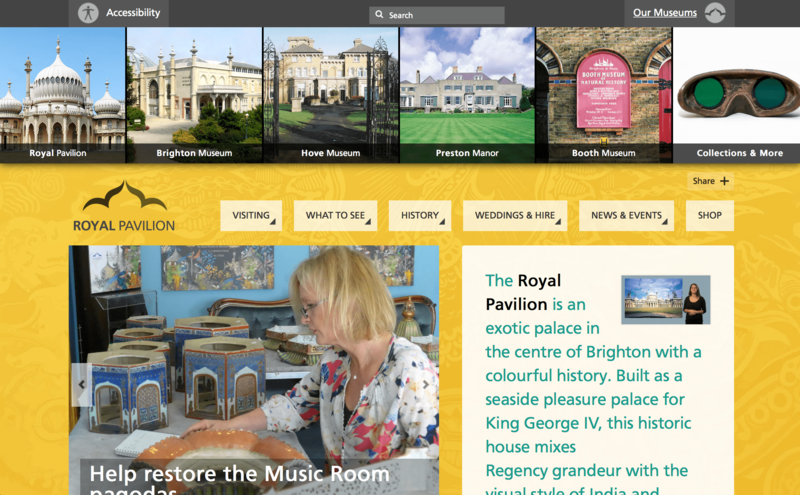 Brighton & Hove’s Royal Pavilion and Museums consists of five different venues. 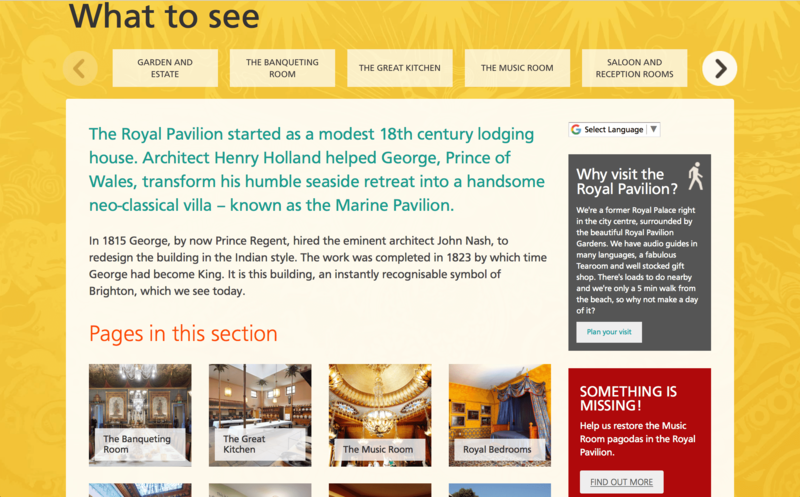 Surface Impression redeveloped the online presence of this multi-venue site. 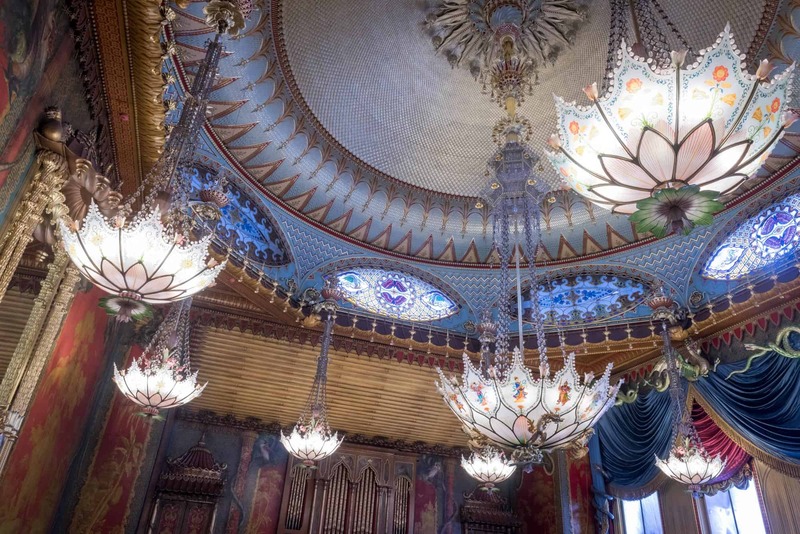 Research demonstrated each venue has a distinct audience and modes of usage, so we treated them as separate, but strongly linked, websites. Functionality includes an online shop, collections integration, interactive floorplan and event booking facility. 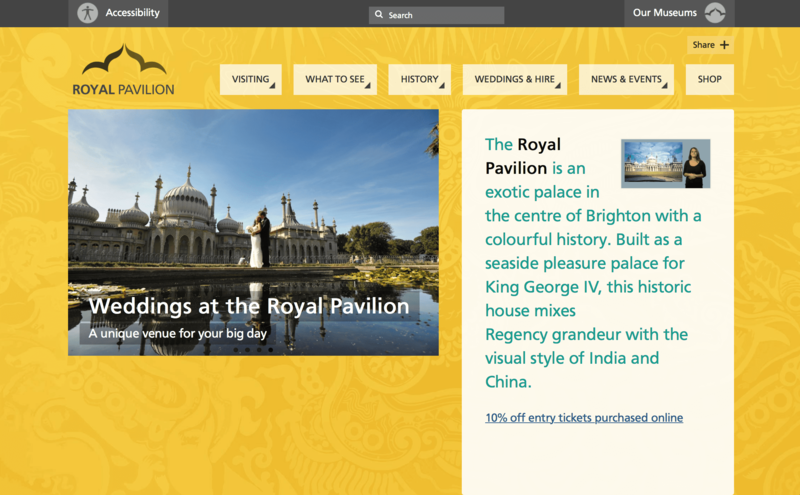 After this site refresh, online ticket sales to the Royal Pavilion increased fourfold, site engagement statistics climbed significantly and visitor numbers to all venues grew. 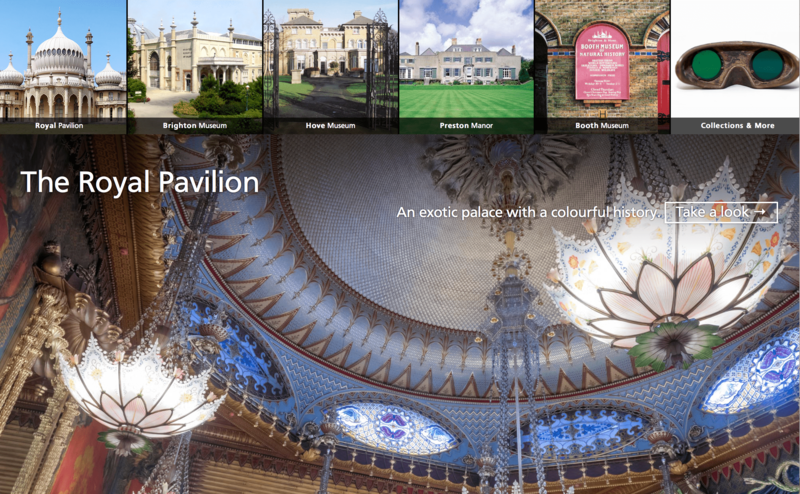 This project is just one of many collaborative developments between Royal Pavilion and Museums and Surface Impression – including two apps and several in-gallery digital resources (eg the World Stories Young Voices gallery) .